Bernie Sanders' campaign is suffering. It's just a few days out from April 26's so-called "Acela" primary, when voters from Connecticut, Delaware, Maryland, Pennsylvania, and Rhode Island head to the polls, and Sanders is down in nearly every one of those states so far. He needs about 60 percent of the remaining delegates up for grabs in order to pull off the nomination, and that's looking less likely as the later primary states seem to be siding with Hillary Clinton. What's a struggling campaign to do when primary season isn't going well? Find a vice president. You're probably thinking "Hold up. Candidates don't pick vice presidential running mates until after they're the official nominee. Isn't that jumping a gun a bit?" Well, yes and no. It's most common to pick running mates after the candidate is confirmed as the nominee, and there is definitely a sense of counting chickens before they hatch involved if a candidate chooses to reverse that order. But it's not totally unheard of to choose a running mate before the nomination is official. John McCain chose Sarah Palin in 2008 before he had technically gotten the nomination (though he had clinched it by delegate count at that point), and President Obama did exactly the same with Vice President Biden. Some pundits even claim that Clinton has already decided on Department of Housing and Urban Development Secretary Julián Castro as her running mate, or at least that he's at the top of the short list, like CNN reported. Castro's support and stumping help has undoubtedly boosted Clinton's reputation with Latinx voters. 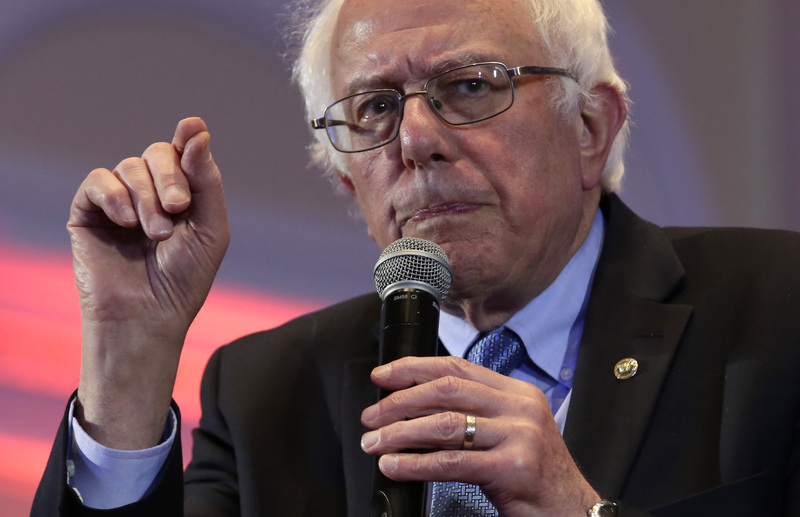 Sanders needs that kind of connection to the demographics he's failing to reach, so choosing a running mate at this point in the race could only help Sanders fight some of the doubts that have haunted his candidacy since the very beginning. Part of the reason Sanders' campaign has struggled so much is due to his perceived foreign policy inexperience and unrealistic campaign proposals, both of which could be softened by the right running mate. The problem is that Sanders doesn't have a ton of political allies in Washington due to his more radical politics, which is part of his appeal as a populist candidate. He isn't even officially a Democrat, so getting an established politician to sign on as his running mate could be a significant challenge at this point (Sanders didn't even have an endorsement from a Senate colleague until a few weeks ago). A few possible VPs, including Massachusetts Sen. Elizabeth Warren and Hawaii Rep. Tulsi Gabbard, who endorsed Sanders in February, have been mentioned in the media, but the Sanders campaign hasn't made any moves toward selecting a running mate yet. If Sanders wants to hold on to the dream of clinching the nomination, he needs someone to fix his perception issues, and fix them quickly. The primary season is ending quickly and the delegate deficit is growing — the game is over if Clinton reaches the magic 2,383 number and clinches the nomination, and Sanders needs a competitive move if he is going to make sure that doesn't happen. Choosing a vice president to smooth the corners and appeal to the vulnerable demographics might be Sanders' only shot at taking back this primary season.